SOLAR system supplier Beyond Business Enterprises has closed down leaving hundreds of customers with warranties that could be worthless. The company did well during the 2010-11 boom period for solar power taking advantage of various government rebates to get thousand of solar systems installed across northern News South Wales and south-east Queensland, according to Guy Cameron the manager of Laser Electrical in Lismore. "We did sub-contract work for Beyond Business to install their systems. We put in 860," he said. But lately Mr Cameron has been taking calls from irate customers who can't make contact with Beyond Business. 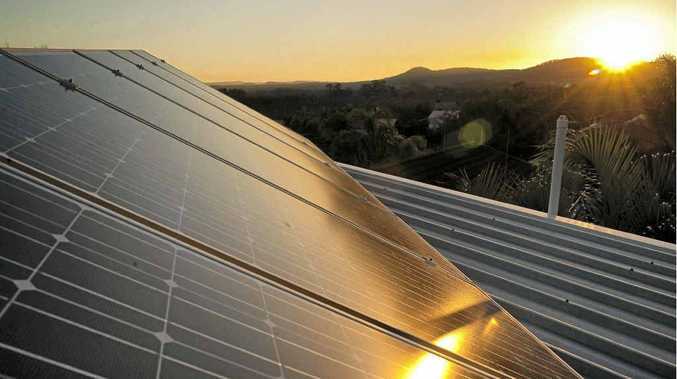 So far, 10 systems installed by Mr Cameron have broken down "Buyers want to claim on their five-year warranties because they need repairs to the inverter component of their solar systems," he said. "The systems branded as Sunny Roo are low quality and it is just not worth fixing them once you try and get parts." This leaves customer facing a decision about spending another $1400 for a new inverter. "The other problem is that if the system isn't working, they can't claim the solar rebate, so they are losing more money the longer the system isn't working," Mr Cameron said. Graham Windsor bought a Beyond Business system nine months ago and has had trouble with it from the beginning. "Over the last few months I have tried to call the company but now the message machine won't even work," he said. First up he spent roughly $3500 on a 1.5 kilowatt system, but he has already lost $800 in forgone rebates and will also have to pay for a new inverter. "I'm fed up," he said. Beyond Business appointed administrators last week, and while it has potential assets of $1.2 million, it faces creditor claims of well over $2 million, liquidator Jason Bettles said. WHERE DID YOU GET YOUR GET YOUR SOLAR SYSTEM? ARE YOU HAPPY WITH IT? Leave a comment below.